The University of Kentucky is proposing major changes be made to a busy Lexington road. School officials suggest adding roundabout traffic circles for a stretch of Alumni Drive between Nicholasville and Tates Creek roads. Urban County Council members heard details of UK's master plan this week. U-K Facilities Planning Manager Judy Needham says roundabouts would help ease traffic flow through the area. "There are not only backups at the four way stops at those two places, but they also have a very high accident rate, that particular stretch of road. So, hoping that the roundabouts will alleviate that," said Needham. Five million dollars in state funds will go toward carrying out the redevelopment of the section of Alumni Drive. Needham says the plan is to finish the road project at the same time improvements to Commonwealth football stadium are completed. Still, Judy Needham says the proposal is not concrete. 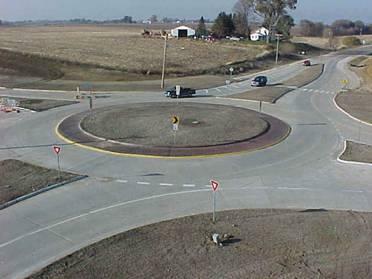 "Roundabouts are still a fairly new idea, so you know, the vetting process. It is possible that they may get struck down. We really don't know. You know we feel they are gonna be really good improvements," added Needham. Council member Bill Farmer says he supports roundabouts, but would like to see the two proposed for Alumni Drive a bit wider than the one currently situated along Wellington Avenue. No Lexington Council approval is needed for the project to move forward.